Sophomore forward Mireya Grey had the perfect shot on goal when she passed the ball to a Special Olympics athlete, who kicked it in for the score. It was one of many joyous moments during a unified soccer match among athletes of all abilities at the Special Olympics USA Games held in Seattle this past July. Each year, UW student-athletes dedicate hundreds of hours to volunteer service. 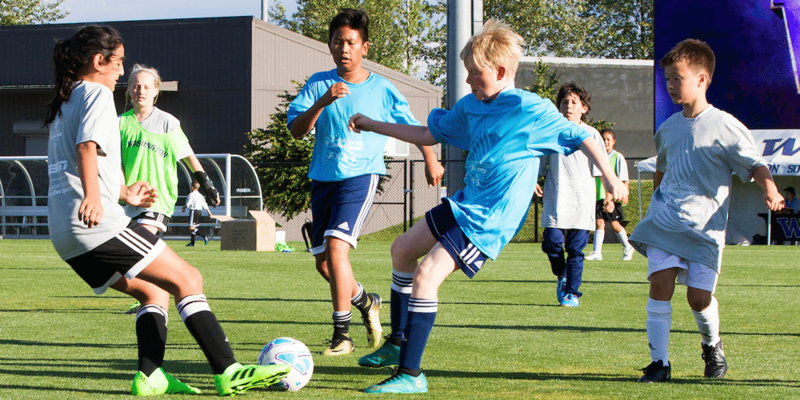 They visit sick kids at Seattle Children’s, tutor younger students, and serve as coaches and role models to kids who attend summer sports camps on campus. Student-athletes also embark on global projects, such as building sports courts in remote villages in Central America.